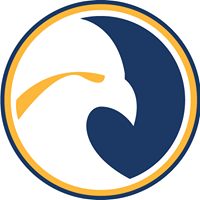 By: Samuel McDade WALESKA, Ga.—Reinhardt University’s Women basketball team defended their home court last Saturday against the Life University Running Eagles. Our Eagles were led by Ashton Sutton as she collected a total of 21 points, and eight rebounds. Sutton’s 21 points were complimented by Jada Hubbard’s 18 points and seven rebounds in the 79-70 win. Reinhardt was able to control the game by dominating the paint. It was a close game in Waleska as Life University did not go down easily. The leadership of the team was shown on the court as the Eagles hustled from rim to rim. The team shot 18 for 30 from the free throw line and nine for 18 from three. The Eagles led 33-22 at half, although the lead was as large as 20. In the third quarter, the Eagles had a 27 point outburst to lead by 20 once again heading to the fourth. A strong comeback effort for Life fell just short as three starters were forced to exit the game with five fouls. Defensively, Reinhardt dominated the game, holding Life to 29.6 percent shooting from the field, and 23.1 percent from three. The Eagles also complied 64 rebounds, four blocks and three steals. The Eagles’ bench played well today, with freshman Alexis Hooper doing most of the damage. Hooper ended the night with a double-double: 10 points and 10 rebounds to accompany her two blocks and one steal.